I hated "The Time of the Doctor" Christmas special almost as much as "Journey to the Centre of the Tardis" which I bitched about in my intro to The Wrong Doctors. A lot of emotional weight was put on a character we're just getting to know: Clara. Celebration of the Eleventh Doctor rounded down to him summarizing himself and trying to sound witty. Then, of course, there was the stupid amount of time spent on his impending "death" when the episode before already revealed the Twelfth Doctor. Not to mention that the Clara that got spread throughout the Doctor's timeline shouldn't exist anymore. That last point shares some similarity with today's subject. I'm heading back early in the Big Finish range to their 25th release. This is the start of Klein's storyline with the Seventh Doctor and Ace arriving in Germany (this story is pre-Hex). 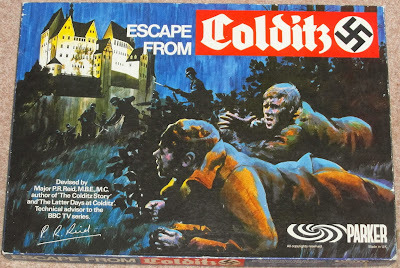 The Doctor and Ace arrive in the courtyard of a castle and are soon shot at by guards. The Doctor is shot, and he and Ace are captured. They find they are in Colditz Castle, a prison for high risk captives, in Nazi Germany. While Ace is threatened by the menacing Officer Kurtz, the other officers tend to the Doctor and try to get him to reveal his secrets. Soon, someone from high command arrives to help extract the secrets, but this Dr. Elizabeth Klein knows far too much about the Doctor. 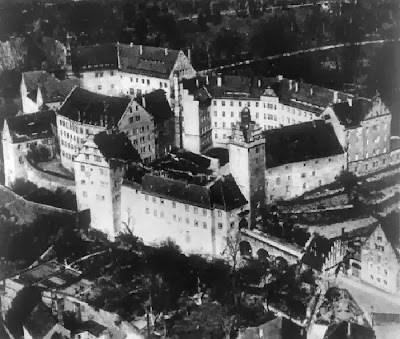 Colditz Castle is something that fans in the UK might already know about, but here in the U.S. it is largely unknown outside WWII buffs. 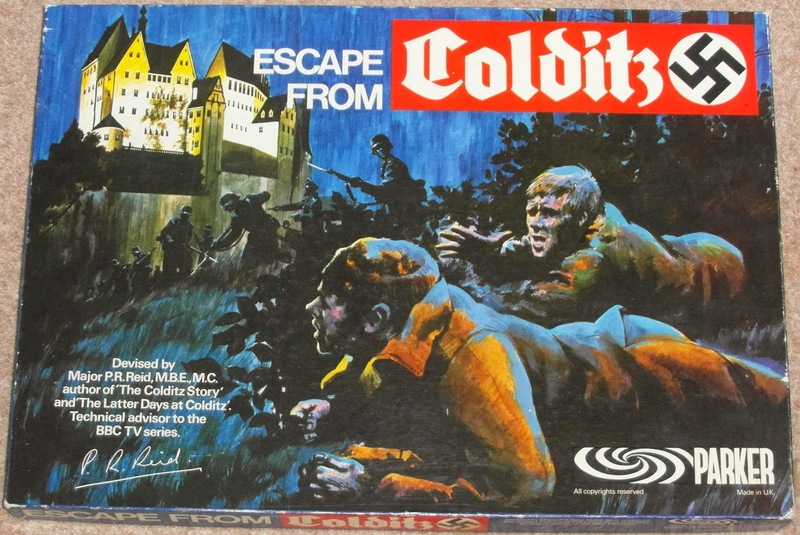 Ace mentions she played the board game and there have been a few films and a TV series featuring Colditz. Anyway,this audio deals with quite a few great things. The Seventh Doctor's scheming comes into focus when Klein gets one step ahead of him. Meanwhile, Ace faces a no-win situation and must figure out new ways to deal with her problems. The Seventh Doctor shows almost too much brilliance and deduction in realizing who Klein really is. This isn't a bad thing since the Doctor should always be ahead of the plot, but it borders on prescience in this episode. This is a minor quibble since his back and forth with Klein is one of the best parts of the episode. Ace begins the episode with her usual boisterous teen self, but comes away quite a bit different. She is threatened with physical and sexual violence; plus, she faces death death several times throughout the story. Her iconic optimism and cheek sharply contrast with the grim reality around her. 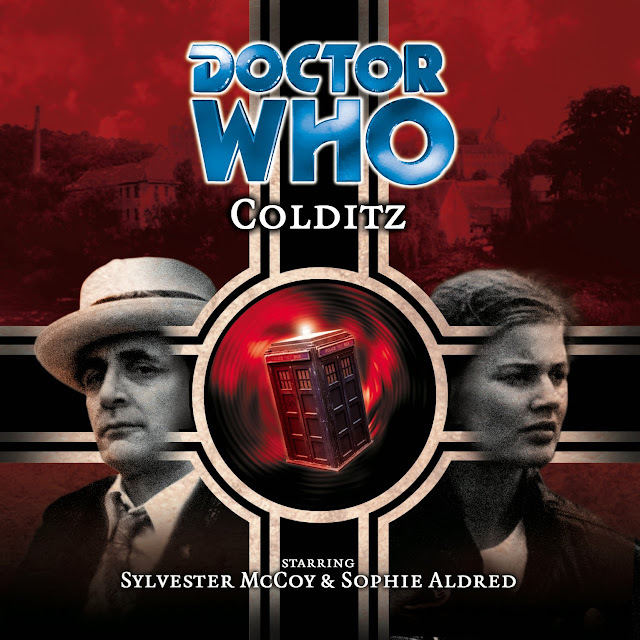 Flying Officer Gower is a senior British Officer imprisoned in Colditz. He has a working relationship with Commander Schäfer that allows him to get supplies and even get some of his men out. He and Schafer are close to being friends, but Ace's demands put their friendship to the test. Commander Hauptmann Schäfer is a commander in his base who's just trying to do his job. He's a likeable Nazi! On a character level he's similar to many characters in Doctor Who that do their best to survive in their own corrupt systems; however, this is really brought home by his association with an organization as infamous as the Nazis. Officer Kurtz is a malicious man who loves his country and would do anything to get higher up. He practically salivates over Ace, which is enough to make your skin crawl. He is the stereotypical every-Nazi that is required in most period dramas. Elizabeth Klein is a Nazi higher up who knows a little too much about the Doctor. I won't spoil her backstory here, but I don't think I'll have a choice moving forward. It's a good story that should only get better with more fleshing out. This prison is much more lax than the one in Prisoners of Fate and is much more literal in its imprisonment aspect. The grounds are well laid out, but the security is more lax. A fate worse than death forces Ace to reevaluate herself. Even the Doctor must reassess his cavalier attitude. Klein's strange backstory creates a lot of questions that will hopefully be answered later. The fact that not all the Nazis were stereoscopically evil men puts this story above many war tales. It has a somewhat generic lesson about the dangers of time travel, though there are much more interesting ideas in the Klein-Doctor relationship. This Seventh Doctor story works so well that it's no wonder they brought Klein back. Hopefully the rest of her stories will be this good. It's only $3 at Big Finish!